I have to do a bit of a commercial.....Husband is getting involved in my little business, a good thing. I just want to sew. 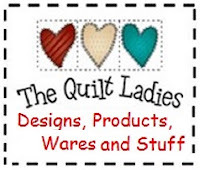 So, here's my store, stop over download a quilt pattern, purchase the PRINTED copies of The Quilt Ladies Books and see my store.